Here we will be listing all the schemes that have the worthy intention of restoring trains to GWR lines that have been closed by the Demon Doctor. We salute you all and will support you wherever and however possible! It is probably worth saying that although Dr B was an easy person to make into the bad guy, far more culpable was Ernest Marples, his boss. Marples was a prominent minister in a Conservative government that was completely in the pockets of the car lobby and it was this that destroyed our branch line networks across the country. 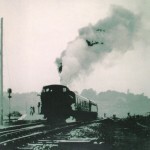 The closure of the GCR, for example, that most modern of main lines, with a Continental loading gauge that should have been a huge asset to freight movement from Europe, may well have benefited Marples personally as well as politically while he cynically and systematically set about reducing the railways’ capacity to compete with road transport. Subsequent Labour governments, despite the rhetoric, did little to reverse these trends and even supported these policies, presiding over closures that should never have taken place. Maiden Newton – Bridport. This line is memorable as being the last Broad Gauge branch built by the GWR, opening in 1857 and closing finally in 1975 after many years of progressive decline. 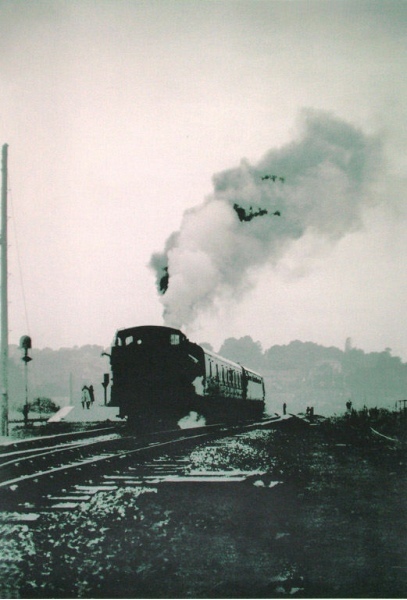 The branch to West Bay lost its passengers in 1930 but freight continued until 1966. More information can be found here and there is an album on our Facebook page here. There is silent archive video footage of one of the last trips over the line here as well as a look at what is left in 2014 by Robert Webster here. their case to the local strategic authorities and Network Rail and get to the point where FGW passenger trains will run into Portishead from 2019. Now part of the Metrowest local transport development, the PRG has never wavered in its efforts and is now reaping the hard won rewards, having beaten their way through all the bureaucratic and consultative issues involved. You can view Jonathan Biss’s atmospheric video about the line, that includes lots of great old photos about the project here, while this video (part 1 of 3) shows preserved steam on the line in 1985 for GWR150 as the SVR’s 46443 negotiates the branch. Also seen there in 1985 were 7819 and Nunney Castle. I wonder what will head the reopening train? Frome to Radstock. This scheme, like the Portishead, benefits potentially from having track still in situ. In ‘Dodchorn’s’ video of a walk along the trackbed, he comes across the remains of the Mells Road ground frame and a GWR Toad brake van, amongst other artefacts. The mothballed 4 1/2 mile line last saw trains in 1988 and previous schemes have always fallen foul of plans to build houses on the site of the GWR station in Radstock. Now headed by ex WSR GM Douglas Hill, this project looks more positive and is definitely to be supported by us all. Modern day traffic on the branch is not what you might expect.